Tom is the principal and owner of the company. Along with being an excellent accountant and business growth advisor, he is “head coach” for the team here at the office. Tom is friendly, easy to work with, and has a good sense of humor—something not-so-often seen in this industry. Tom has served as past-president of the San Joaquin Chapter of the California CPA Society and as chair of the Management of an Accounting Practices group. He has served on the boards of several non-profits, and is a continuing volunteer for different community causes. Except for Tom, Karen has been with Vermeulen & Company the longest—part of the team since 1997. She graduated from Cal Poly and shortly afterwards passed the CPA exam. Karen specializes in tax services. She enjoys water skiing, hiking, and most of all, keeping up with her family. Ann has been with the company since 2004. She specializes in the areas of individual and business income tax as well as financial accounting services. As part of the Vermeulen & Company team, her goal is to provide excellent and timely client service. Ann previously worked in the area of public accounting in Southern California, as well as the East Bay Area. Stephanie came to work for Vermeulen & Company as an intern in 2004 and has been here ever since! Stephanie graduated from CSU Stanislaus with a concentration in accounting. She specializes in accounting, Quick Books consulting, and tax services. When she is not at the office she enjoys DIY projects around the house, exercise, reading and enjoying family time with her husband and two children. 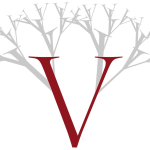 Vivian came to Vermeulen & Company in 2000 after twelve years in banking and several years of private bookkeeping. She specializes in tax services, payroll services and QuickBooks support. Vivian has served as a member of a local private school board and is currently a member of the finance committee affiliated with the school. In her free time she enjoys home improvement projects, yard work, reading, and family and church activities. Joe has been with Vermeulen & Company since 2006 and has over 10 years experience in the public accounting profession. He specializes in tax services including corporate, partnership, and individual taxes, as well as trust and estate taxes. He also has experience in general accounting and attest work including GAAP compliant accounting. Joe is actively involved in his church and enjoys sports and spending time with his wife and children. The office administrator position is best filled by someone who is flexible and knows how to follow through on the “task-of-the-day”. That’s Rochelle! She is the go-to person in the office when a specific project needs to get done. If a client or staff member needs help with anything, Rochelle is always willing. When not at the office, Rochelle enjoys long distance running and being with her family. Lynette is the smiling face you see when you walk in our front door and usually the first voice you hear on the other end of the phone. Her goal is to make every client feel like family and to be well taken care of. She loves to create a fun and friendly environment at the office. Lynette has worn several hats in her professional career—including banking and real estate—and she has now found her home at Vermeulen & Company.